The overall seashell sizes are from 1" to 2". Opening sizes graduate from ¾" - 1 ⅛". 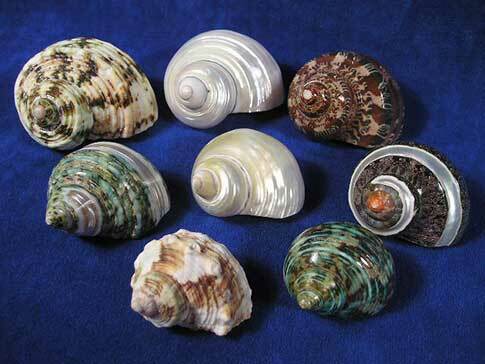 Buy eight large assorted turbo shells. Each one is different. We're offering them at a great price for the collection.